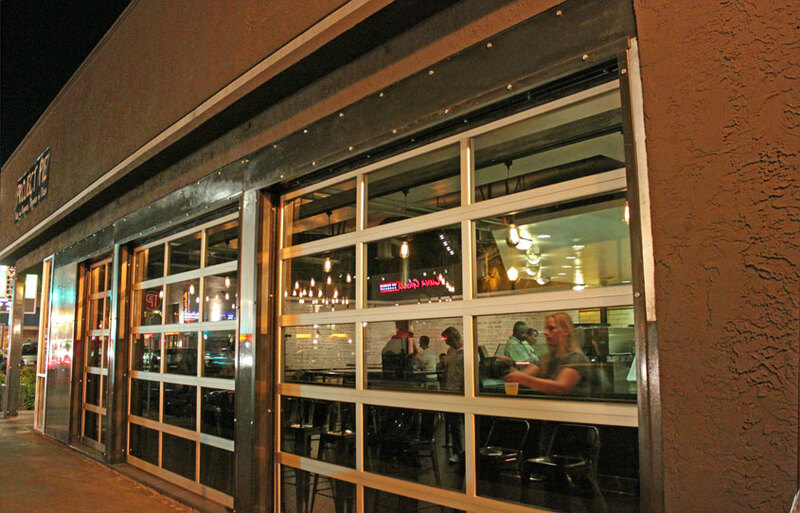 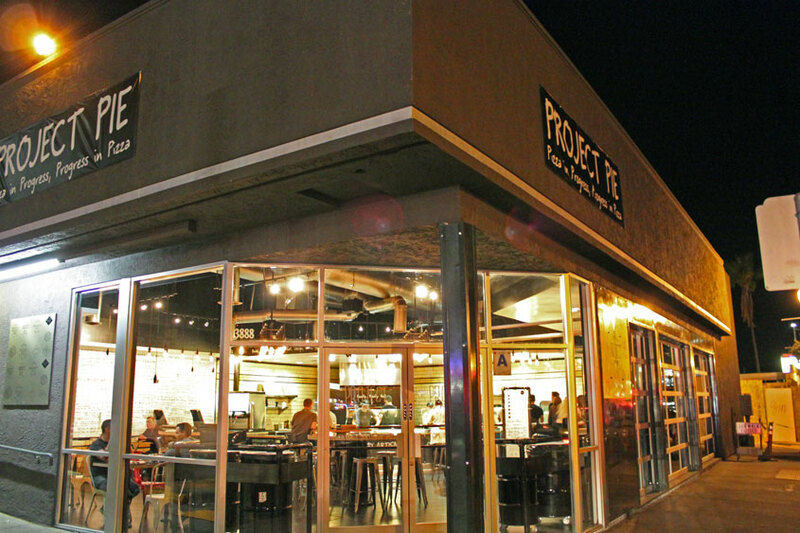 Our bar & restaurant doors are the latest modern choice for storefronts and eateries. 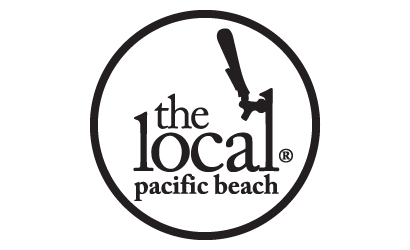 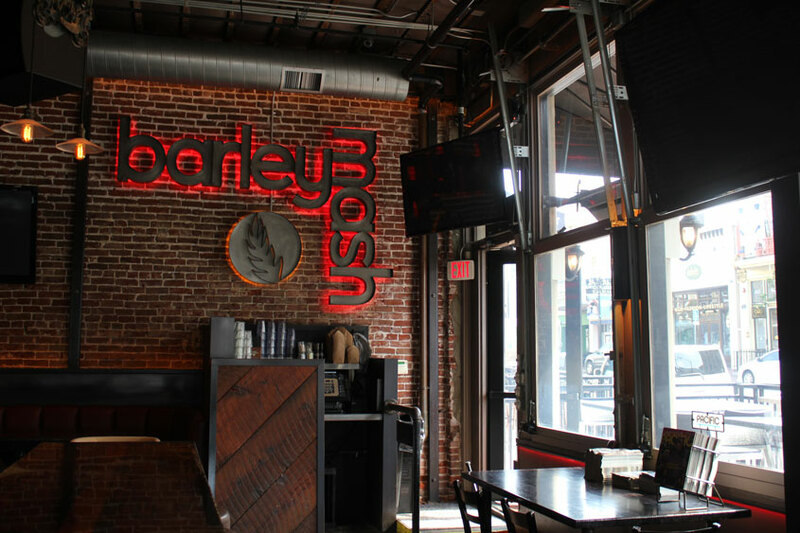 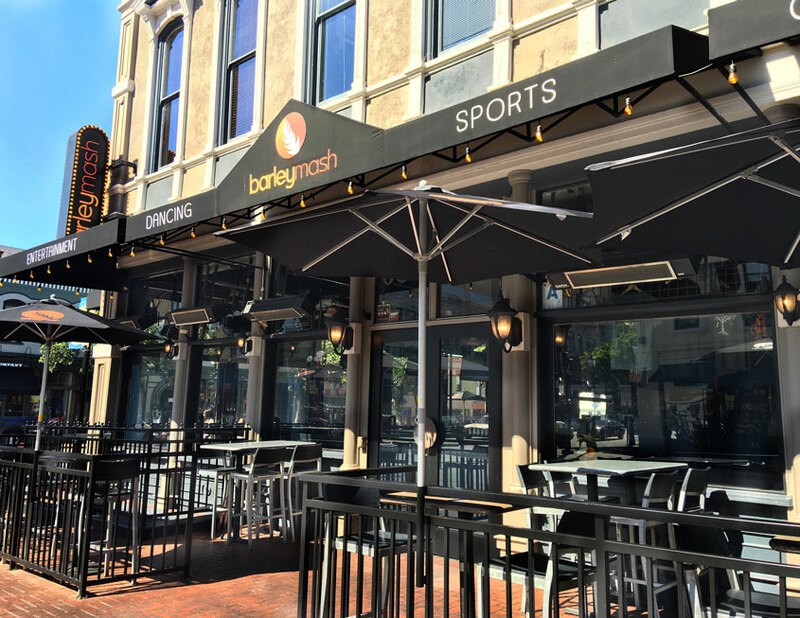 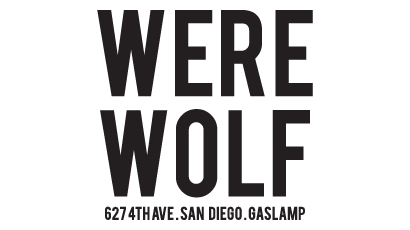 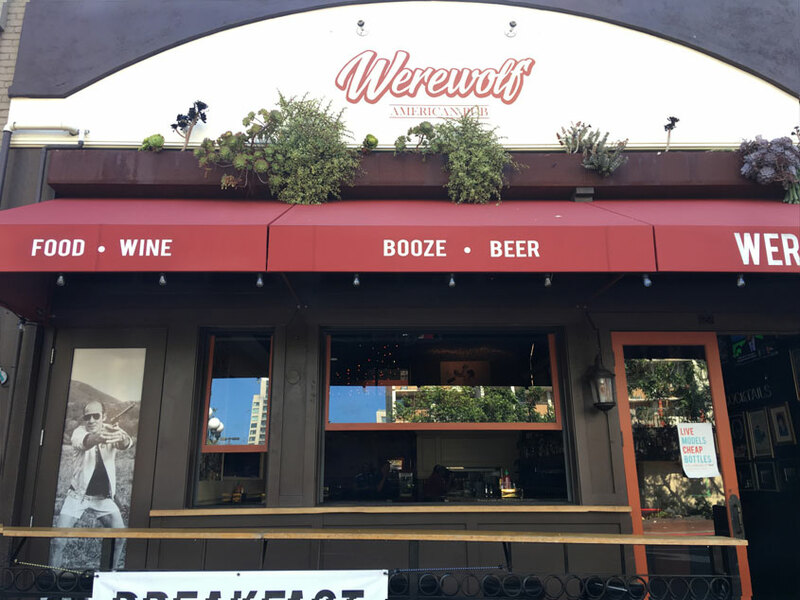 We have done work for some of the most popular watering holes and eateries in San Diego including Barley Mash, Whiskey Girl, and Rockin Baja Lobster. 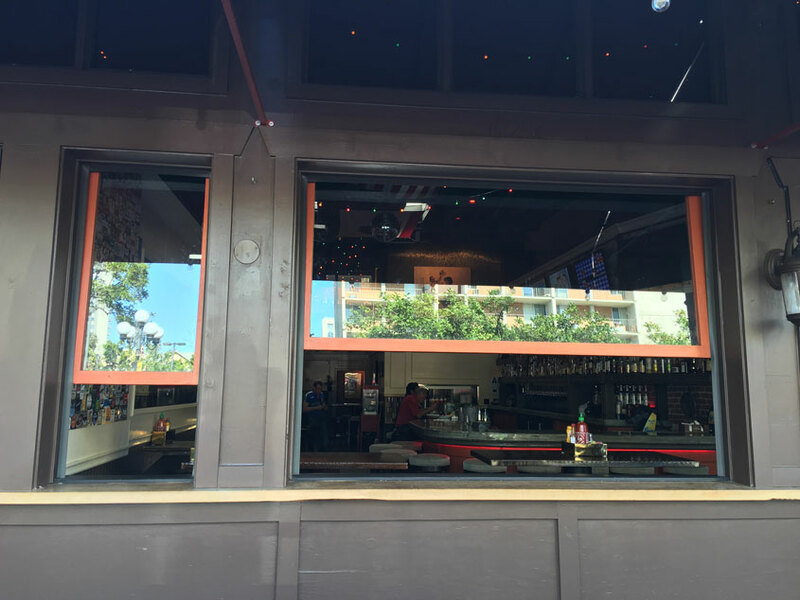 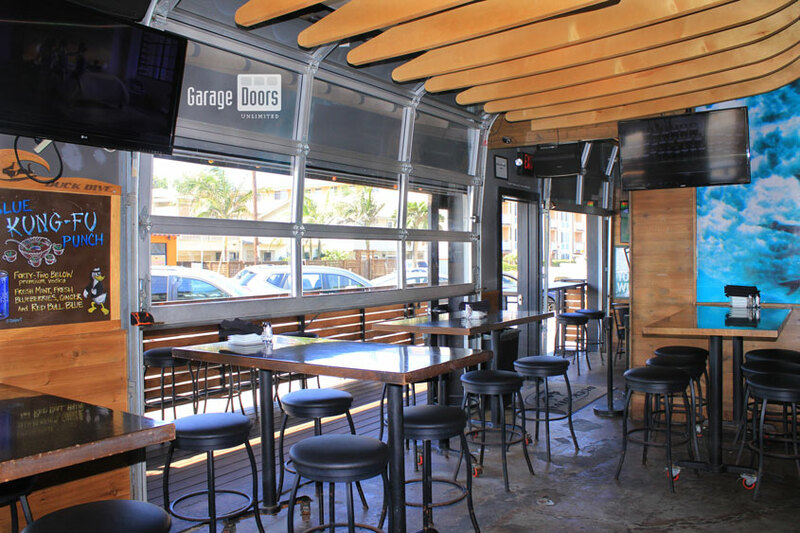 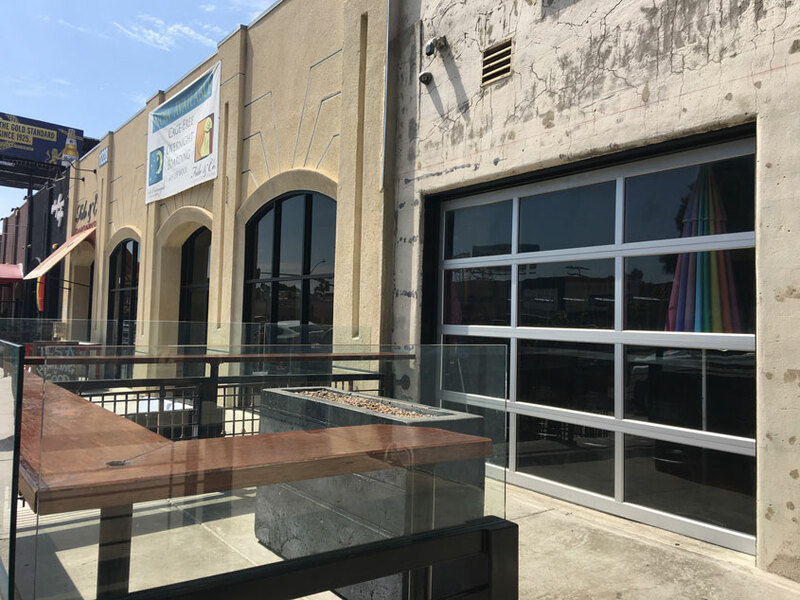 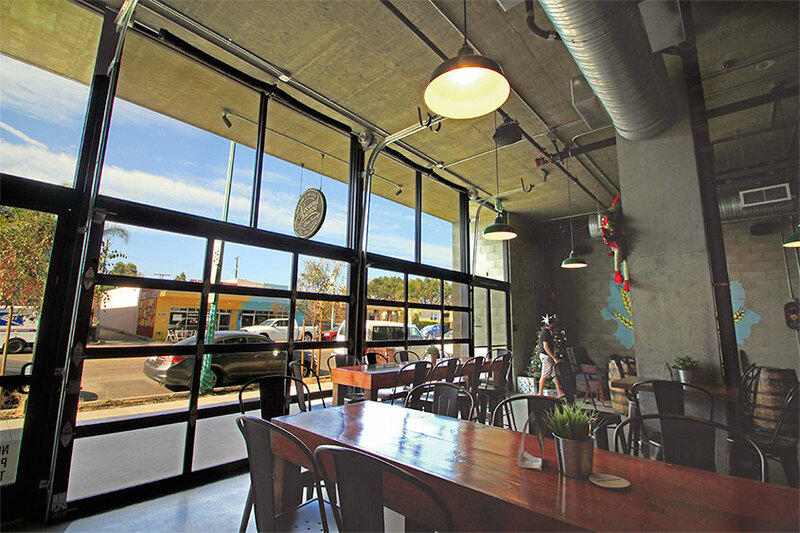 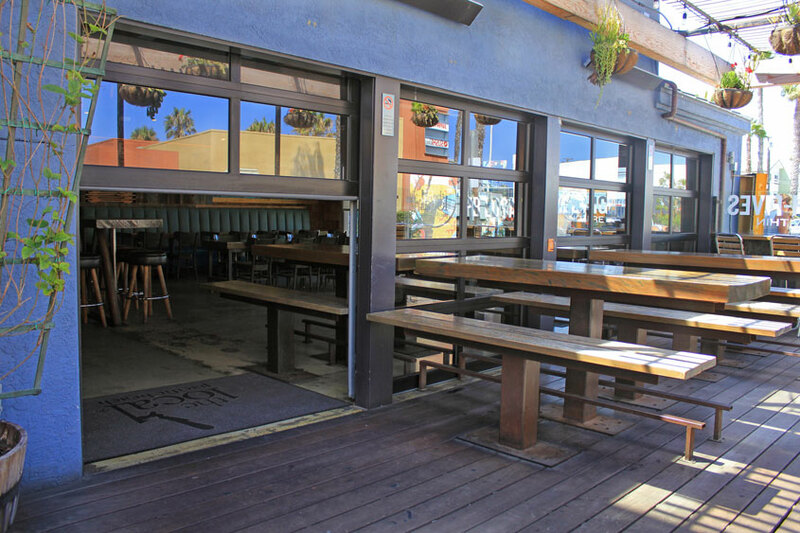 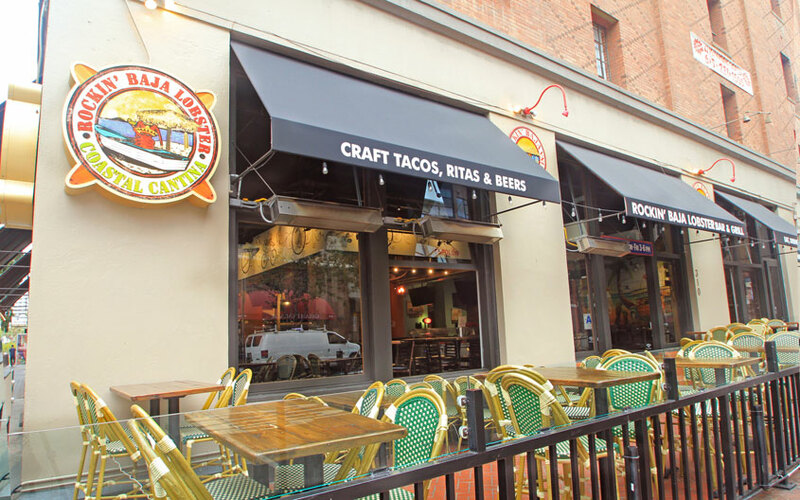 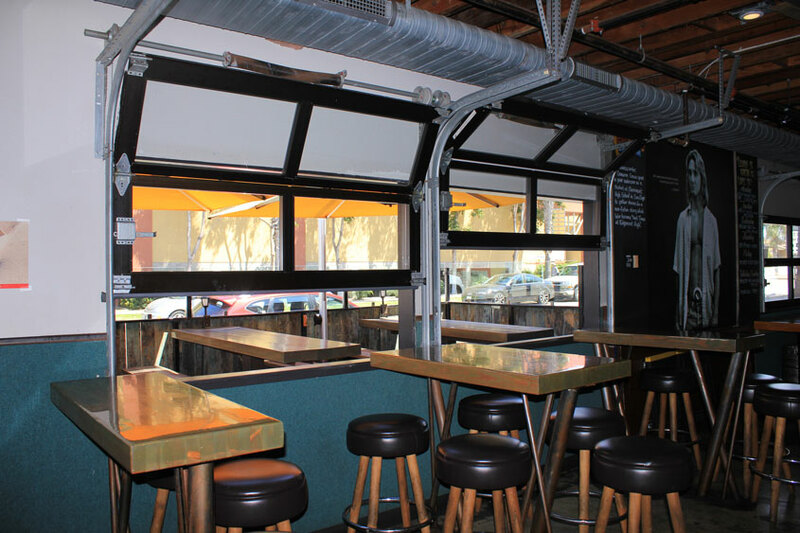 The demand to use glass overhead doors as a bar and restaurant door has increased throughout the years due to their durability and versatility. 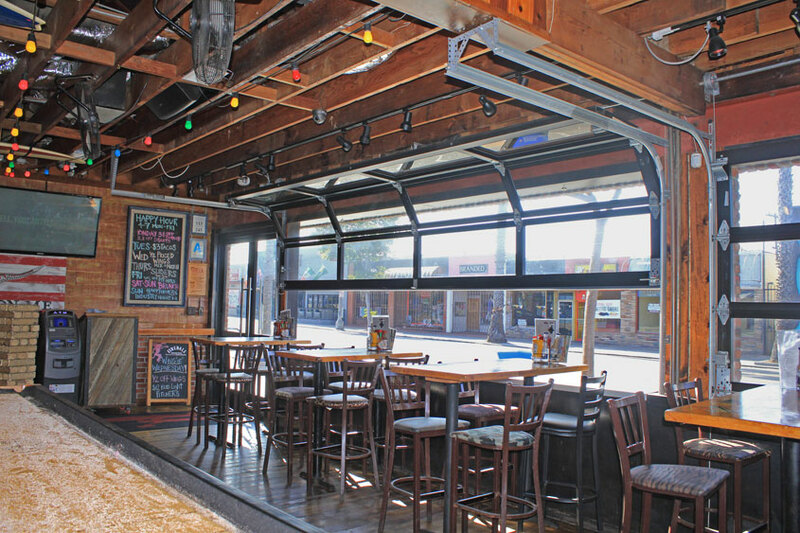 This product provides a great way to merge the indoor and outdoor dining experience into one! 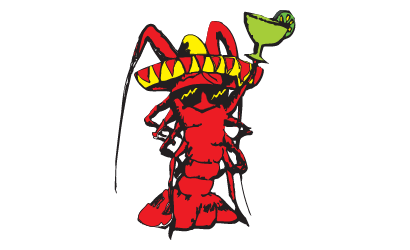 Weather too warm? 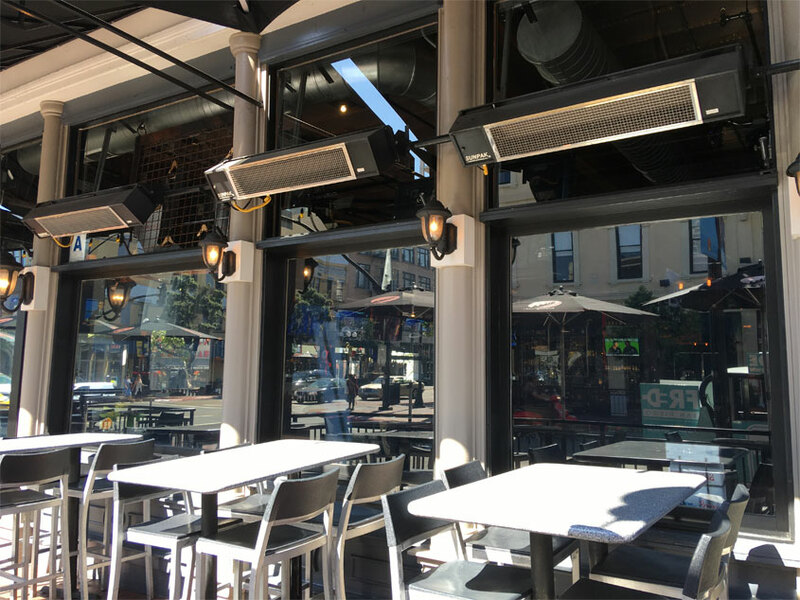 Too cold? 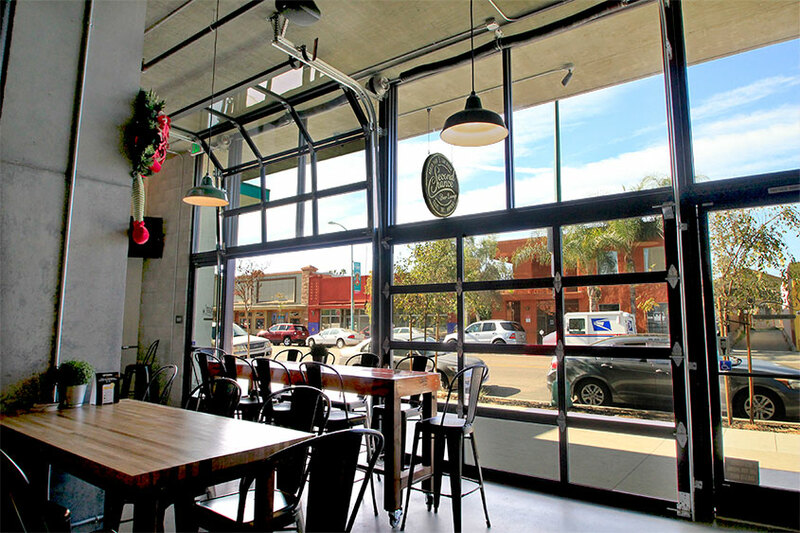 Simply roll up the glass doors and separate yourself from the outside world or leave it partly open and enjoy the fresh air. 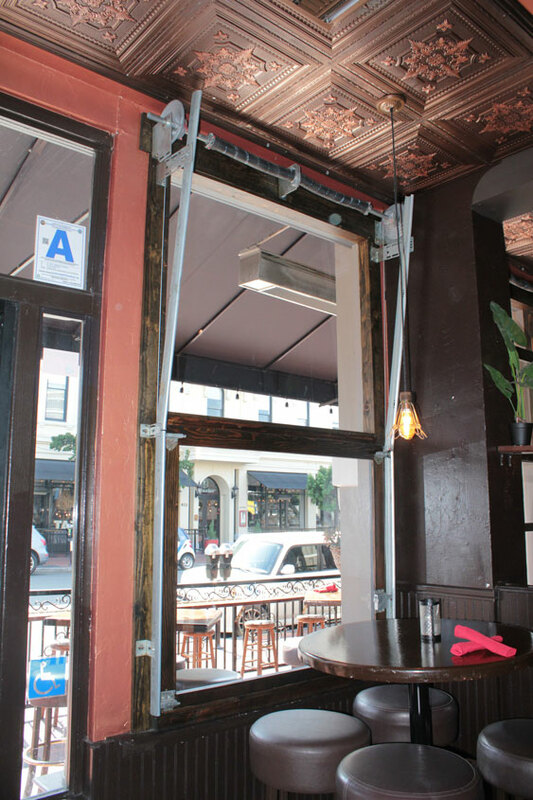 We use a tempered glass that is 1/8 – 1/2 inch thick. 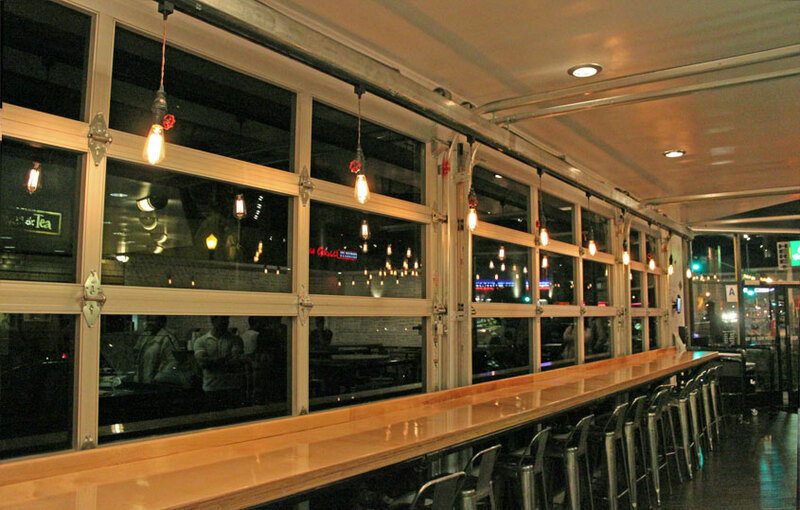 A piece of glass 1 inch thick, carries the strength of tempered glass a 1/4 of an inch in thickness. 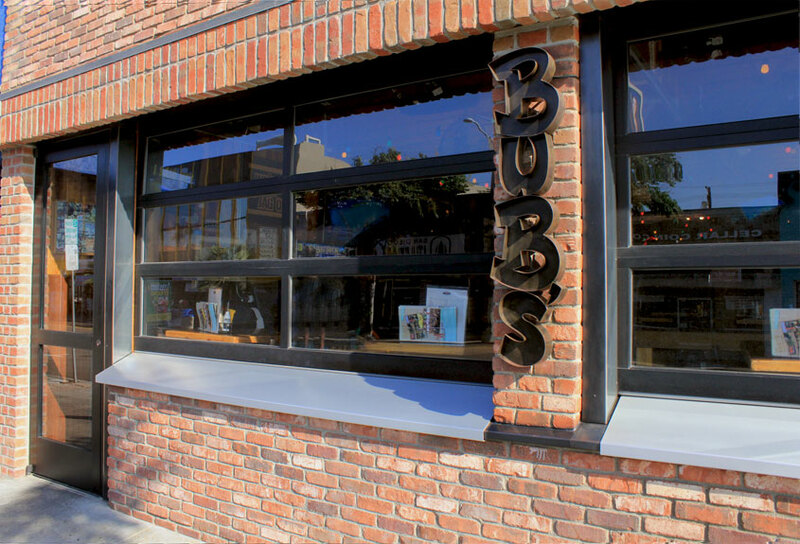 Another added element to this product is safety; if the glass cracks, it breaks into very small pieces to protect anyone around the area. 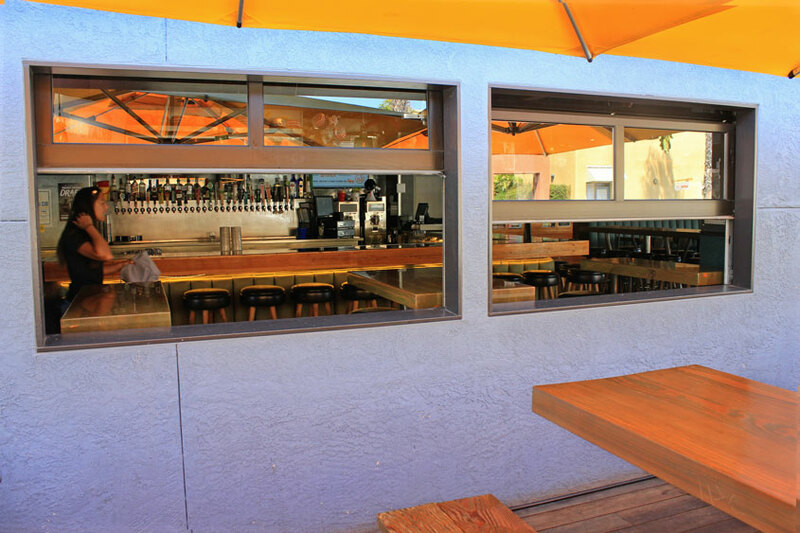 The aluminum frame comes in a selection of over 20 powder coated paint colors and anodized metal finishes that range from clear to champagne. 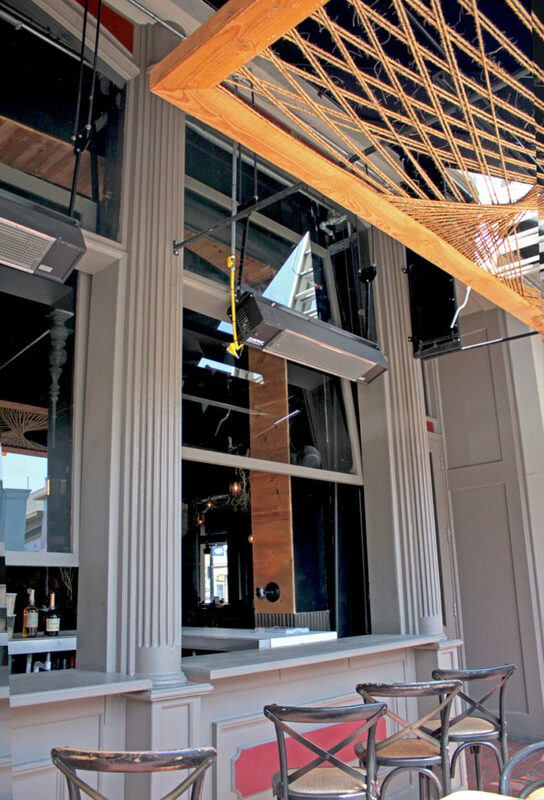 There are also different types of glass finishes depending on the look you want to achieve such as clear for a crisper look or frosted for a softer effect. 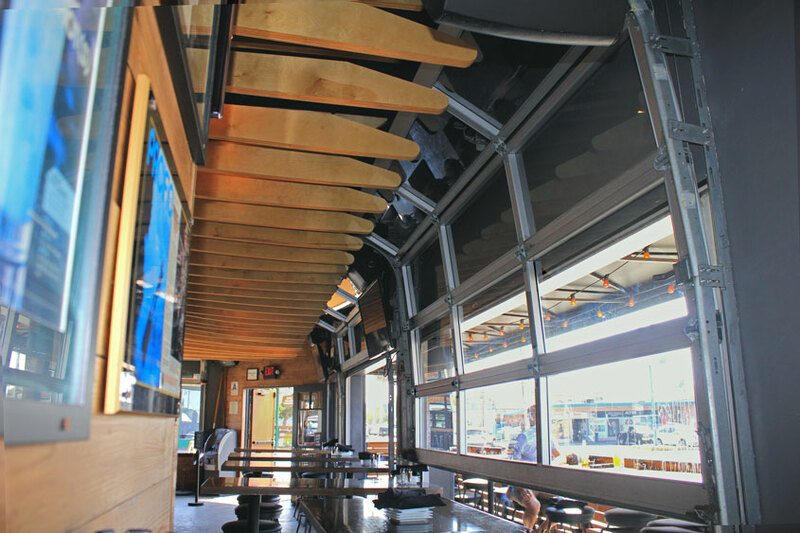 Does your structure have strict aesthetic guidelines? 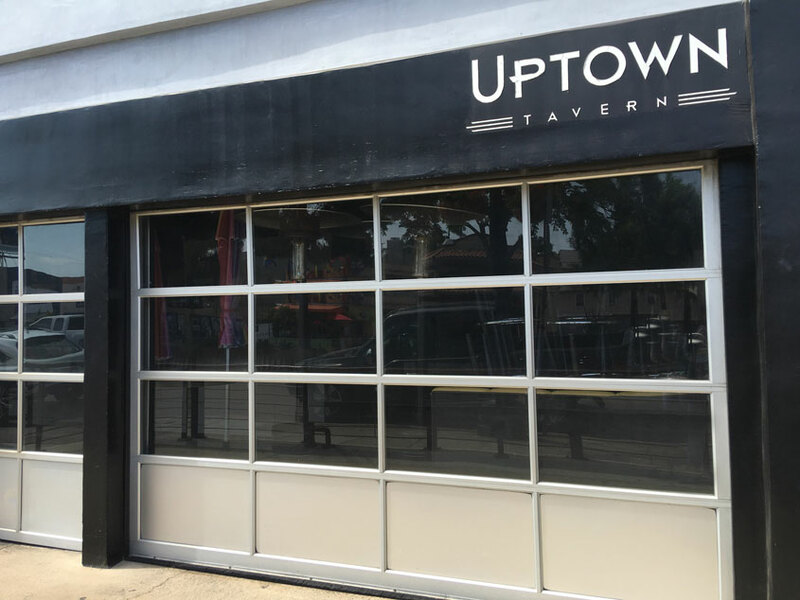 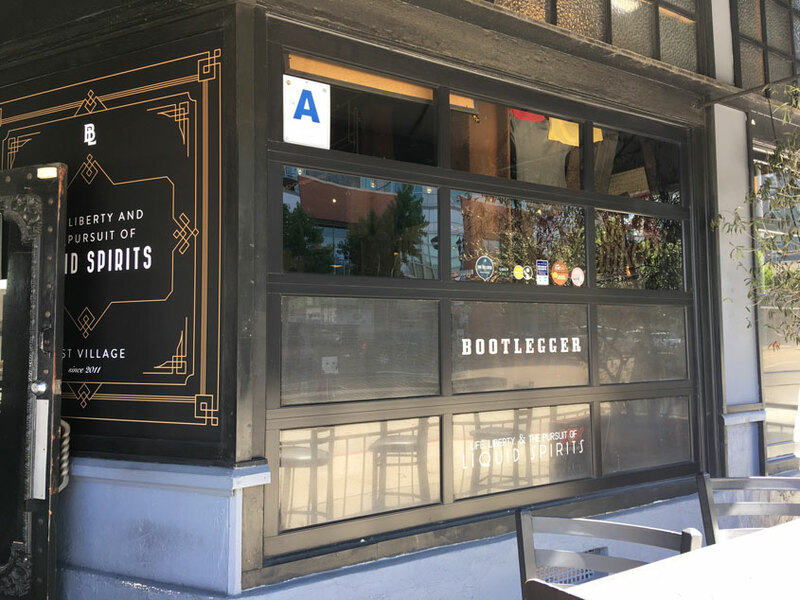 Our bar and restaurant doors add a modern twist to a classic storefront window, but can still be made within specific building codes and styles. 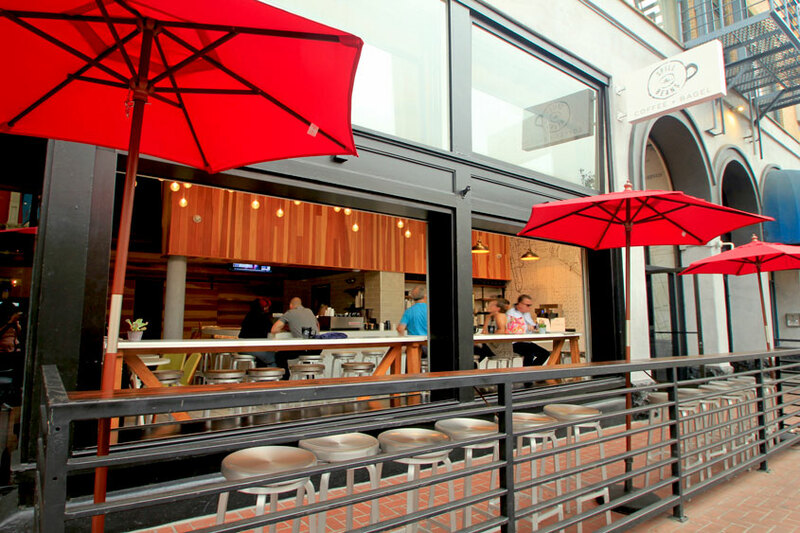 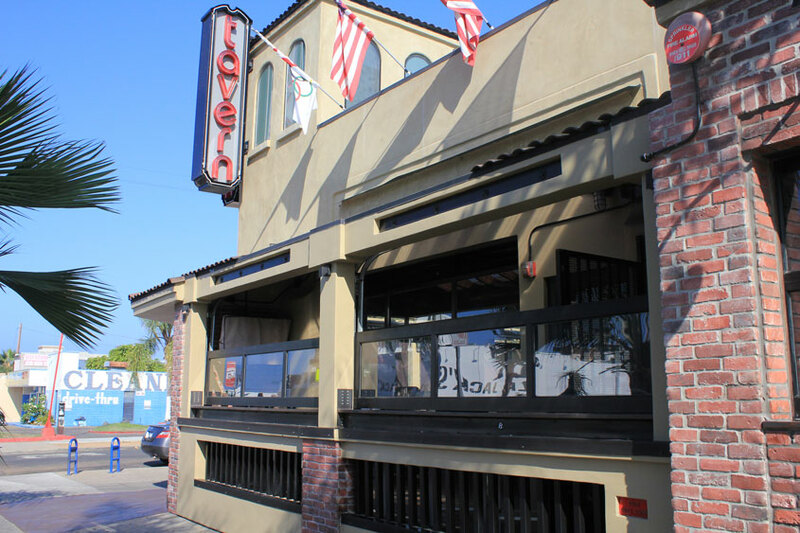 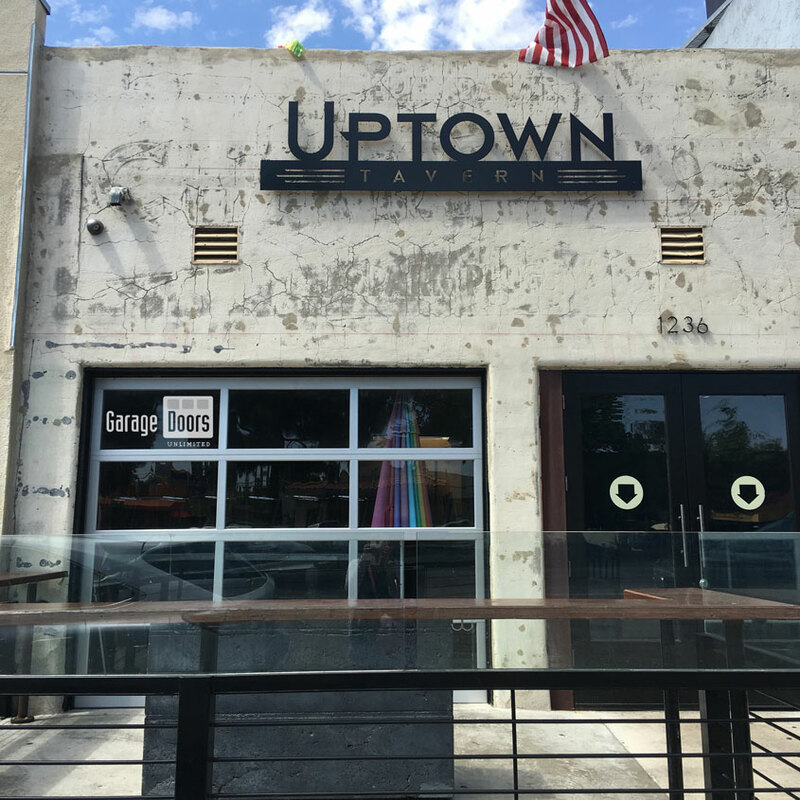 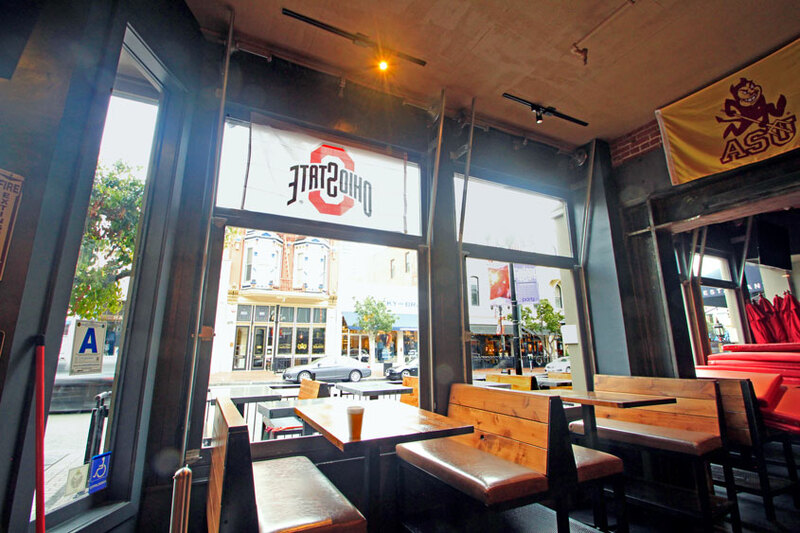 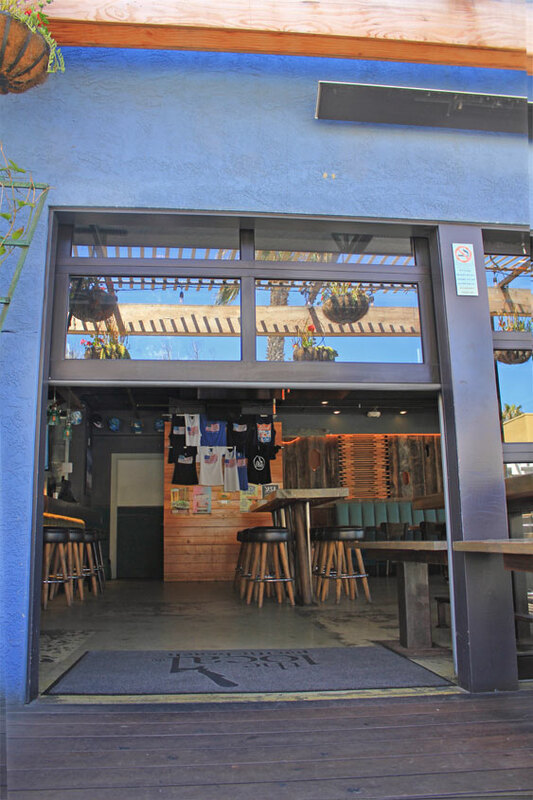 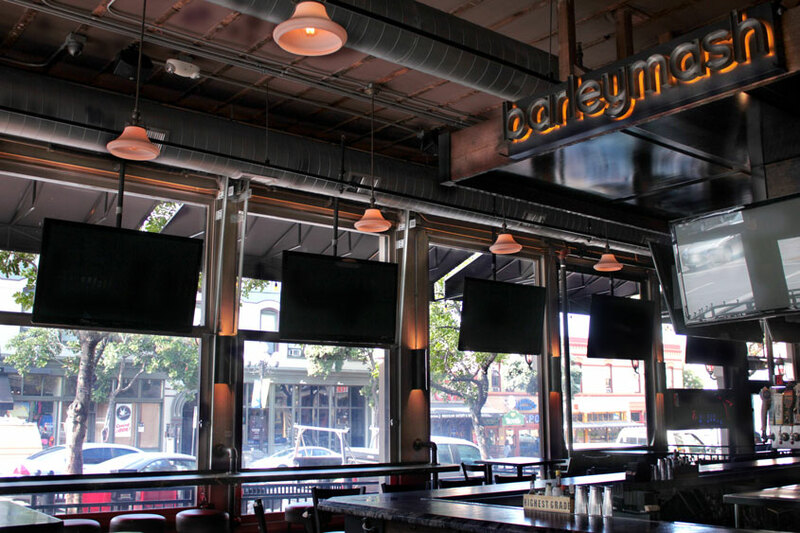 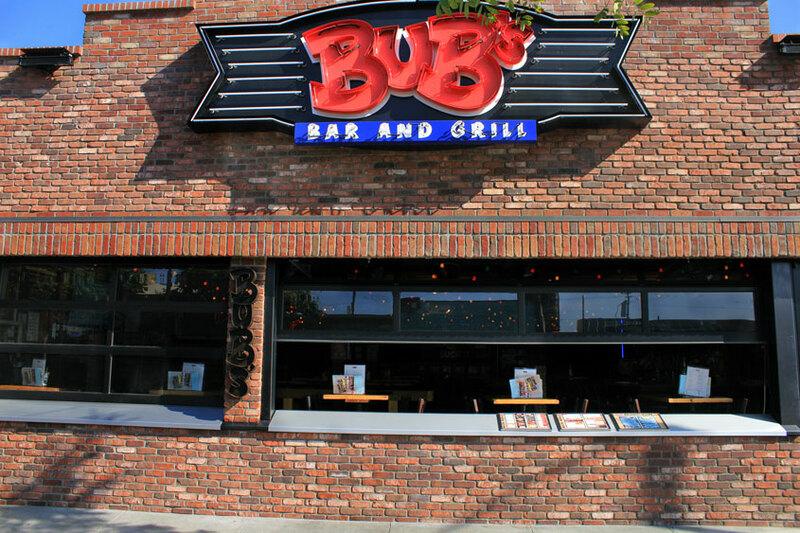 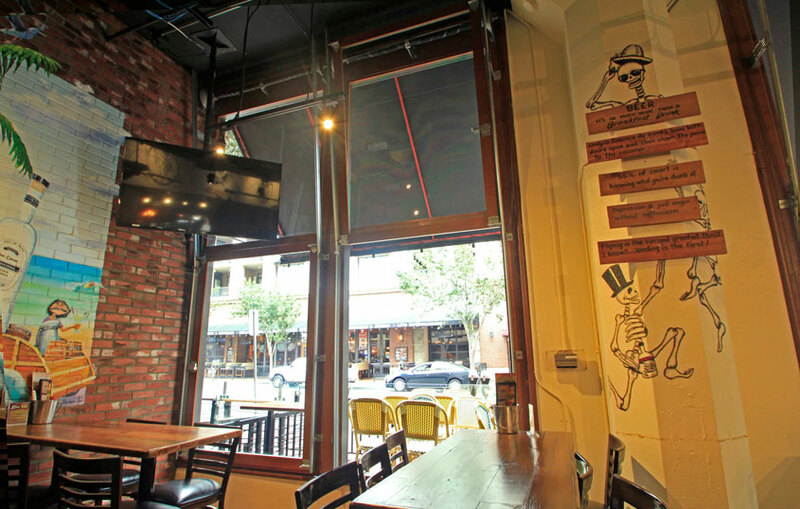 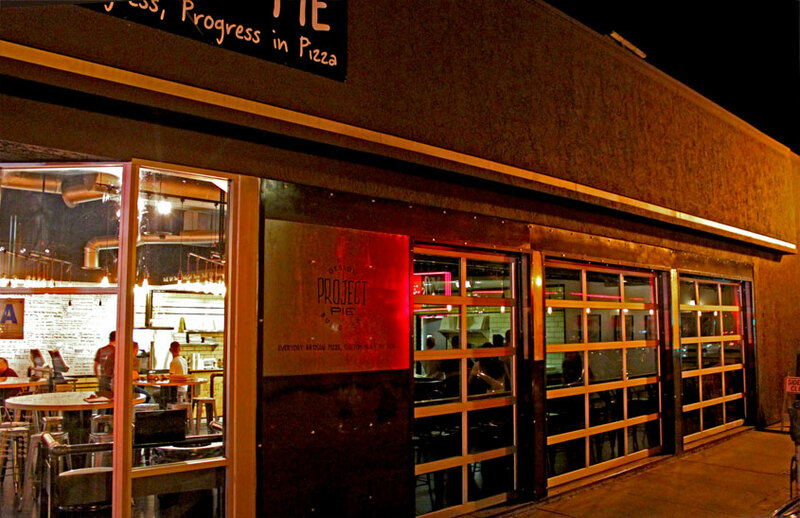 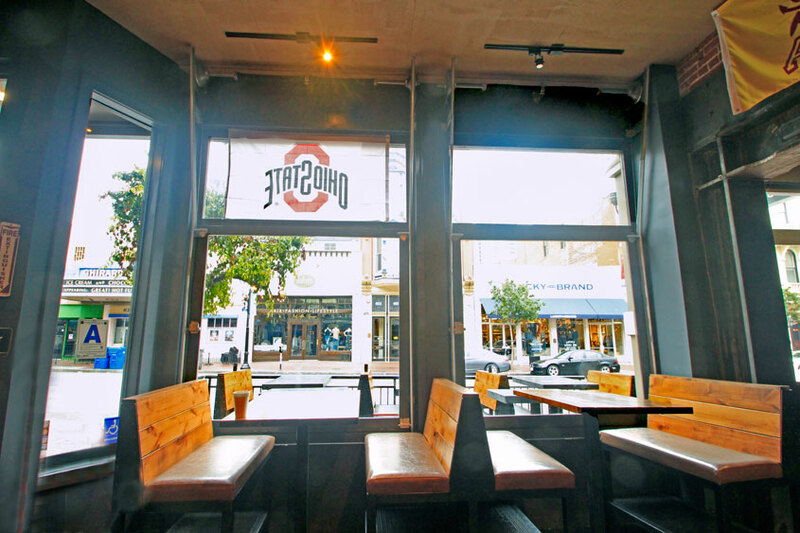 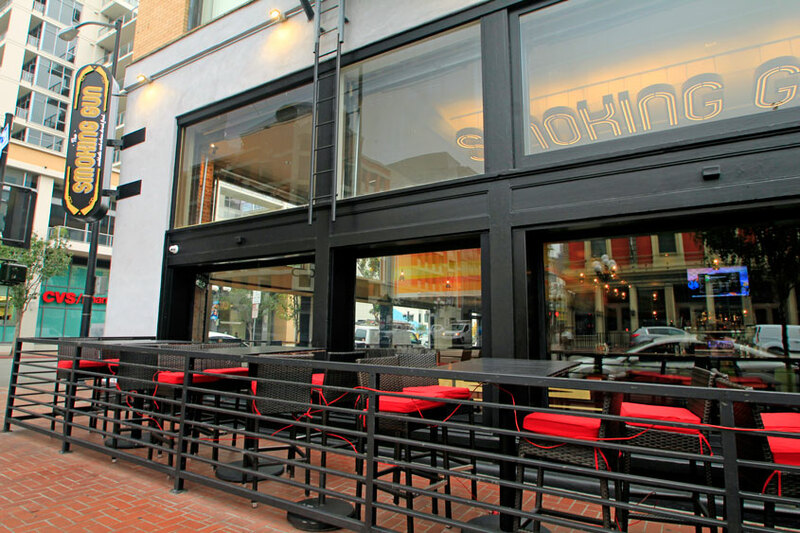 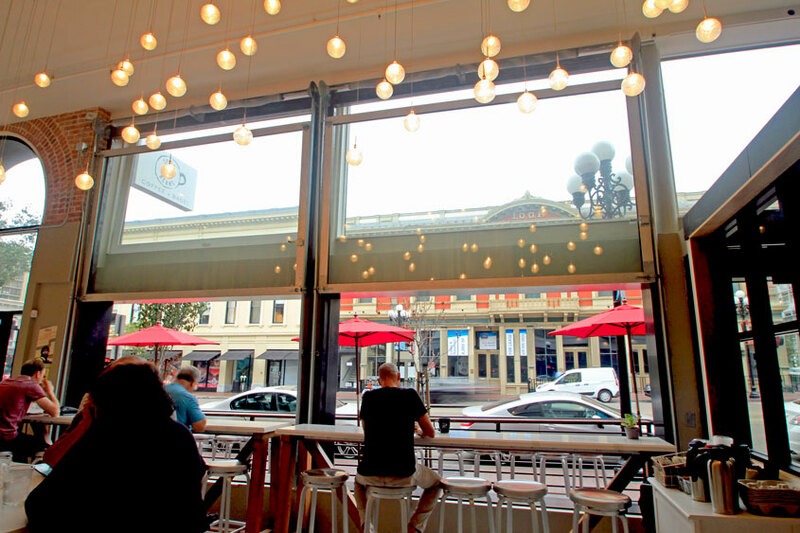 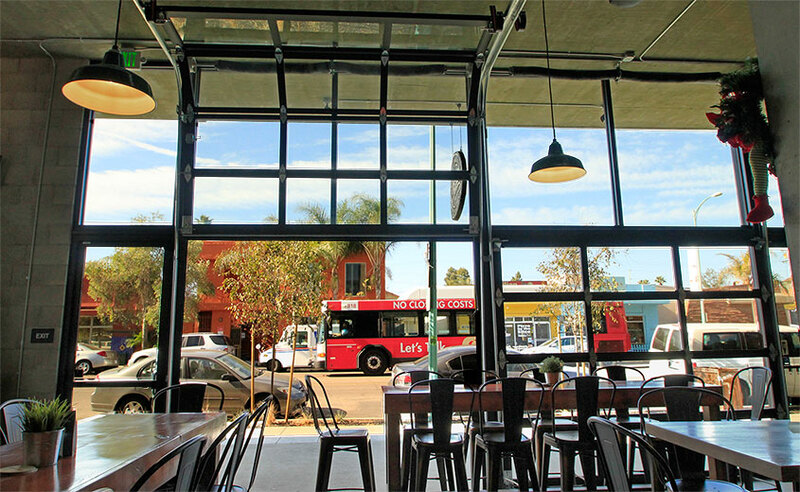 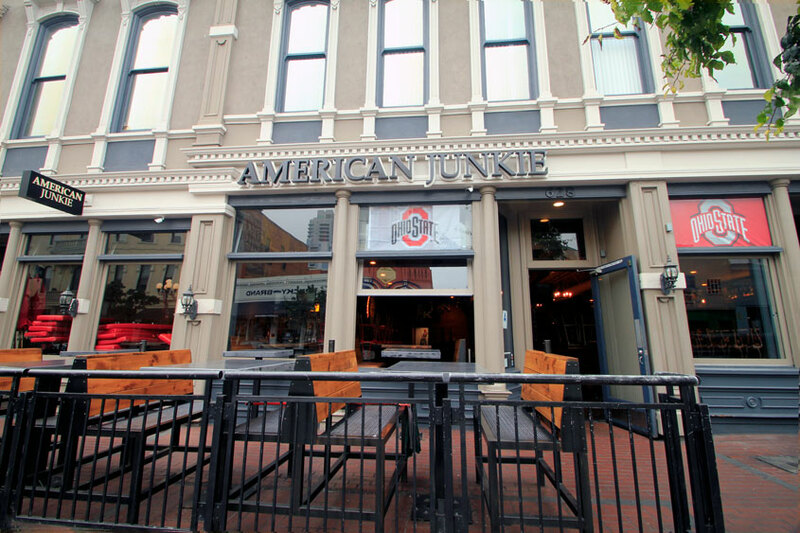 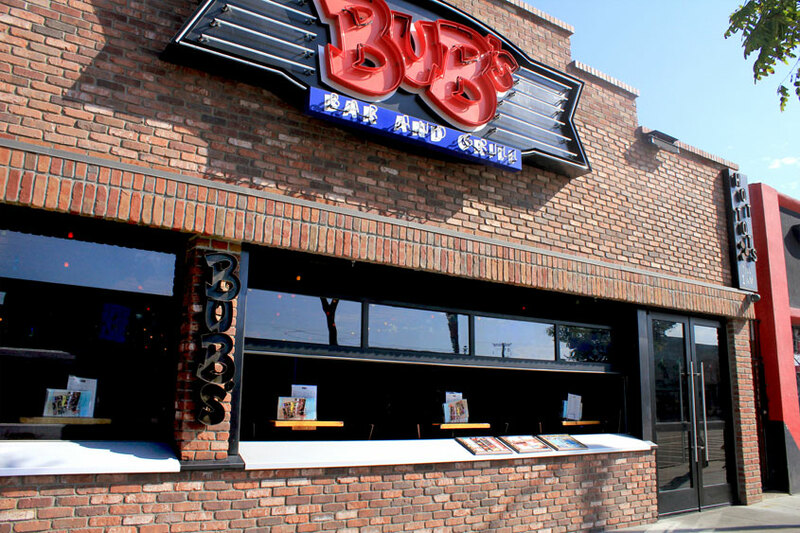 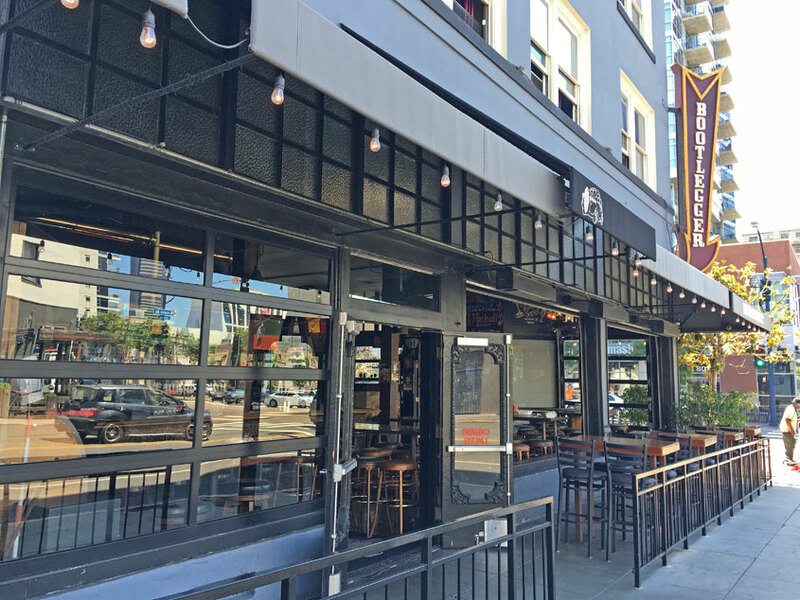 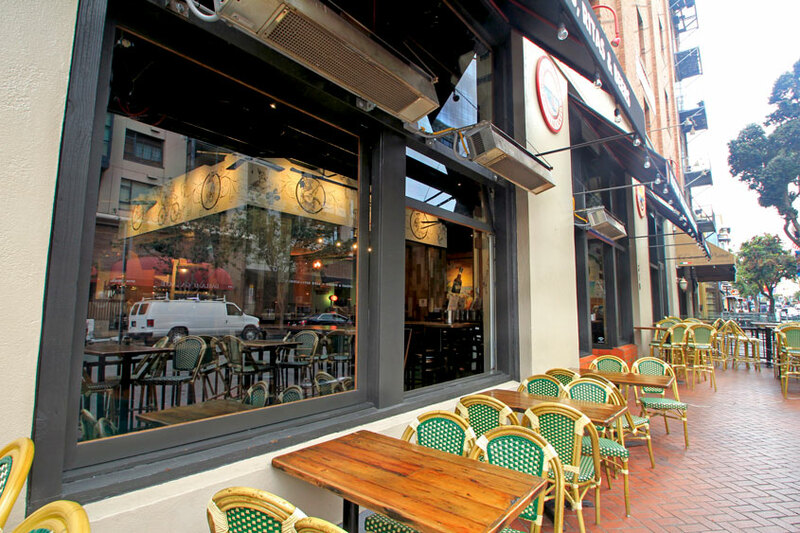 Vintage buildings in the San Diego Gaslamp District have used our doors to add function to their restaurants. 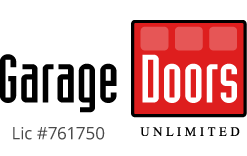 They can be designed to maintain the historical context of their structure while providing the unique qualities of a modern door. 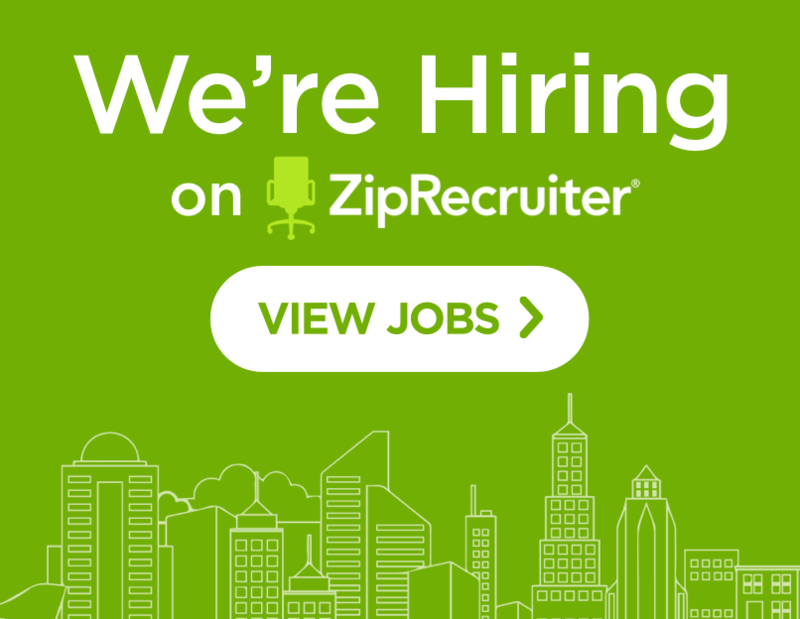 Do you have openings that require an unusually sized door? 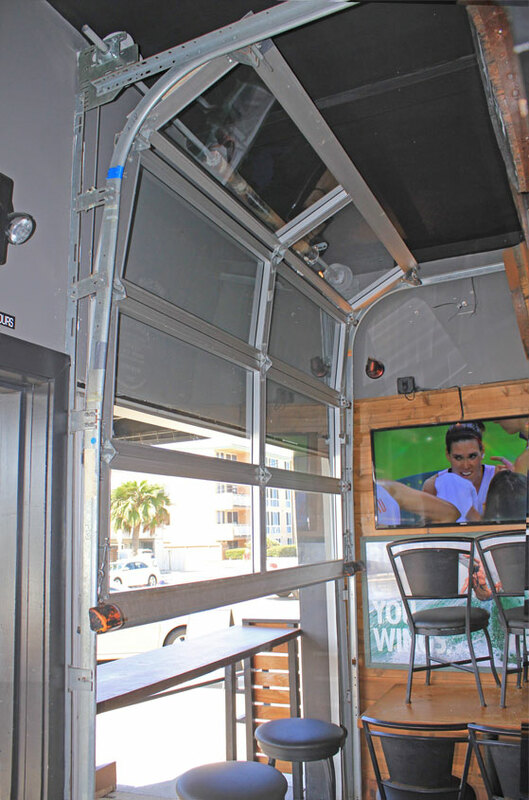 Need to fit into a tight office space? 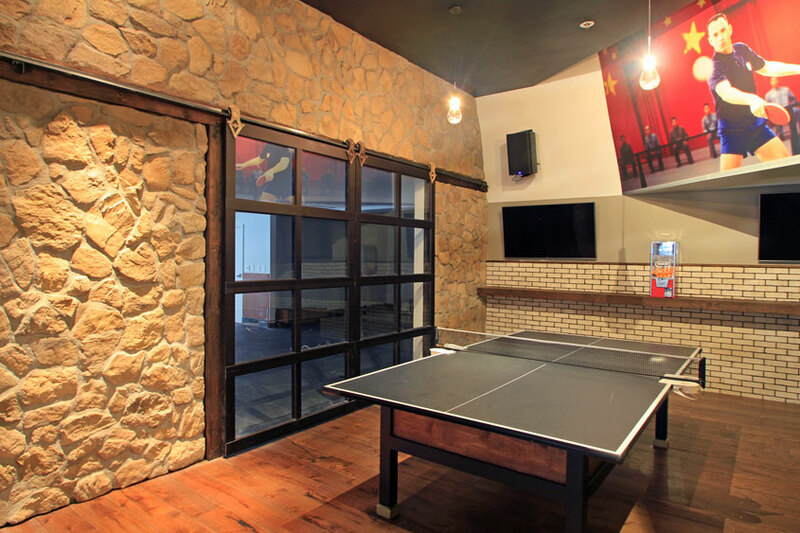 Do you need to divide large walls in a gym? 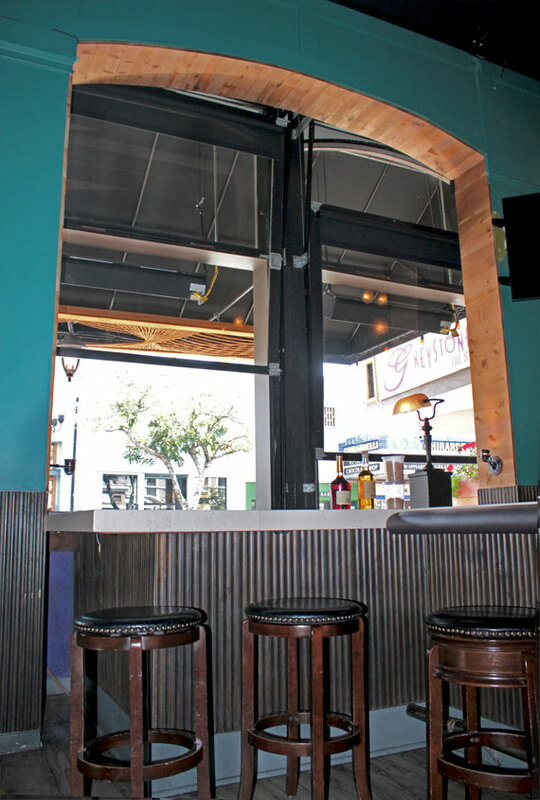 These doors are customizable both in style and sizing. 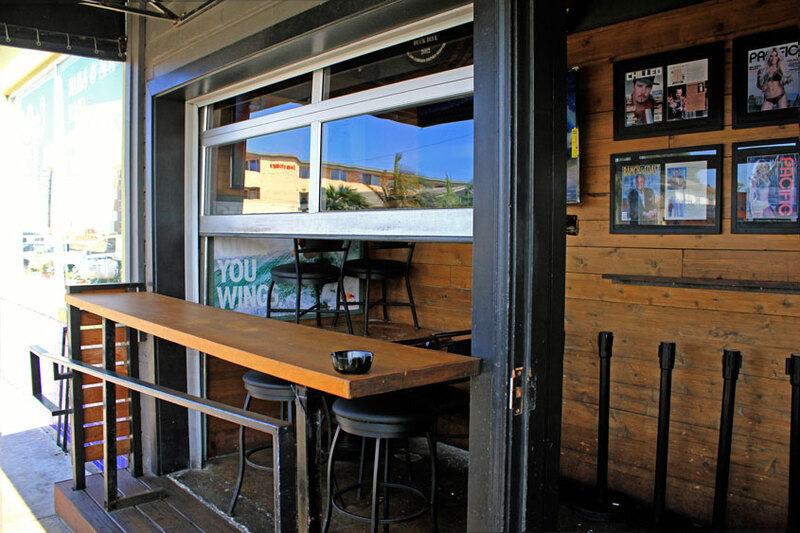 We can customize the dimensions to fit your space exactly the way you need it. 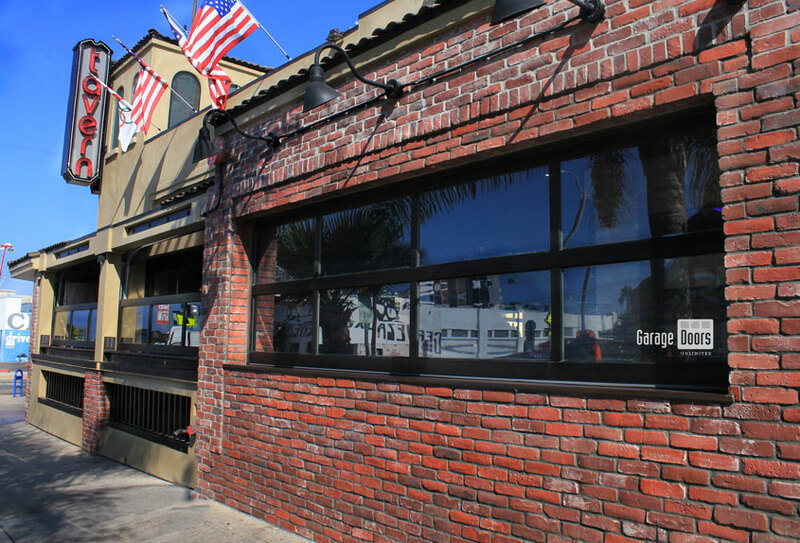 Explore our gallery below to view our work around San Diego county. 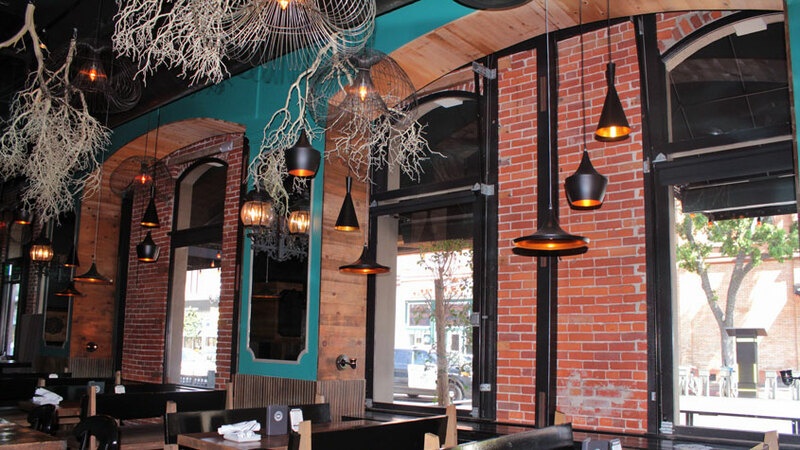 This visual tour will take you to some of your favorite restaurants in the community and give you an idea on how to envision your space. 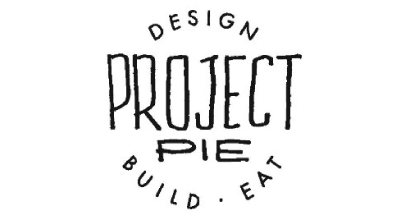 All of our projects start with a free estimate. 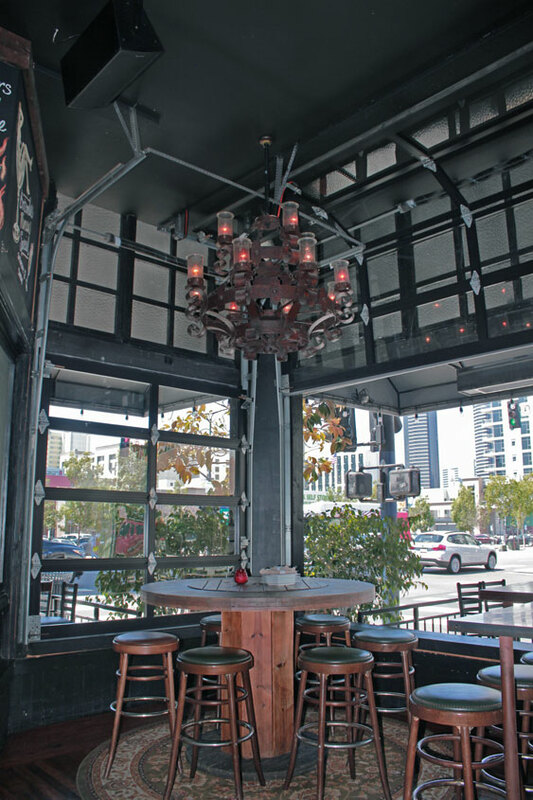 We schedule our clients with a design consultant who will sit down with you and discuss style options, space accomodations, and give an exact price so you can focus on making the choice that suits you best.